Did it come with a monochrome monitor? I asked about the EXOS, for example the blinking ENTERPRISE screen also removed? It is running and has a standard EXOS 2.1/BASIC 2.1, full English version. The serial number label is untouched. Therefore I believe, that they just took off the keyboard top and replaced it with the special one. As keyboard printing was done by the assembler (GRI Ltd.) the keyboard top must have been in Scotland before . When Vimos Kopacsy was in Munich in autumn 1989 he presented me a MIDI-catridge for the ENTERPRISE. The cartridge was longer than a standard EC cartridge and contained an eprom, an EF6850P async I/O chip, some Ics and two MIDI-connectors for MIDI out/through. The software was far away from being ready, but the cartridge was already able to play some midi-files. He brought a Roland MT-32 digital sequenzer to show communication and the result was impressive. Can you remember which music played? They are familiar to you? heard least one of them then the story true! I can't believe it !!!! 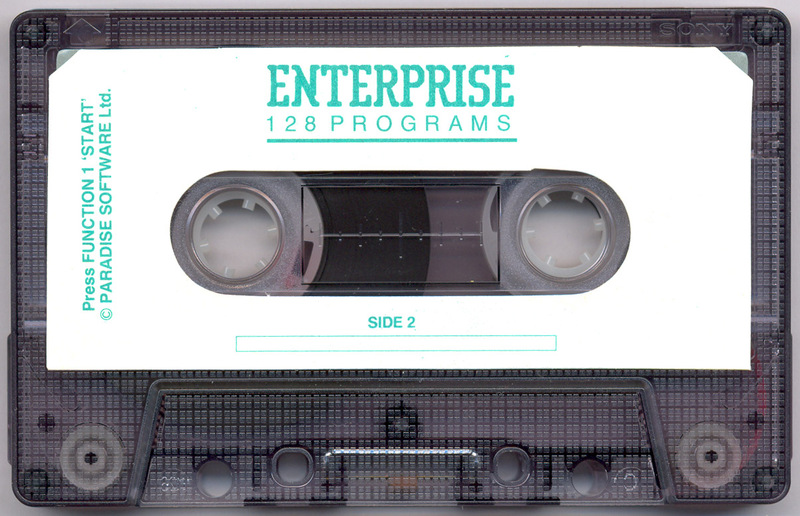 The first song is definitely played by the ENTERPRISE and I think it was on a Roland MT-32. I will never forget this song, because it was the first one that Vilmos presented me in Munich. It is very much like something from Jean Michel Jarre and that is the reason, why I am remembering it so well. The others I cannot remember, but Vilmos had a wide collection of them. What a pity that we do not have some Scoretrack-Files for the cartridge. I played a little bit with Scoretrack and I think the preset for the voices (8 + 1 channel) was also taken from the MT-32, but I am not shure. Maybe I can take more screenshots of the program later. Do you not noticed the attachment? The Midi Rom loads on the EP128emu emulator, but if you execute ":ST" it hangs. Can be that Scoretrack software the same or a clone from Scoretrack for C64? The screen is more like this "Euphony" program. Because Mr. Kopácsy worked with Atari ST then I think look around about Atari ST programs. "A little bit later he told me, that all development on this cartridge/software has been stopped, because there would be no market for it in Hungary"
No market? Maybe it's because the VTGe was not at all connection with the users! Just heard as a legend about the MIDI interface. We not even seen least a photo! Until now. 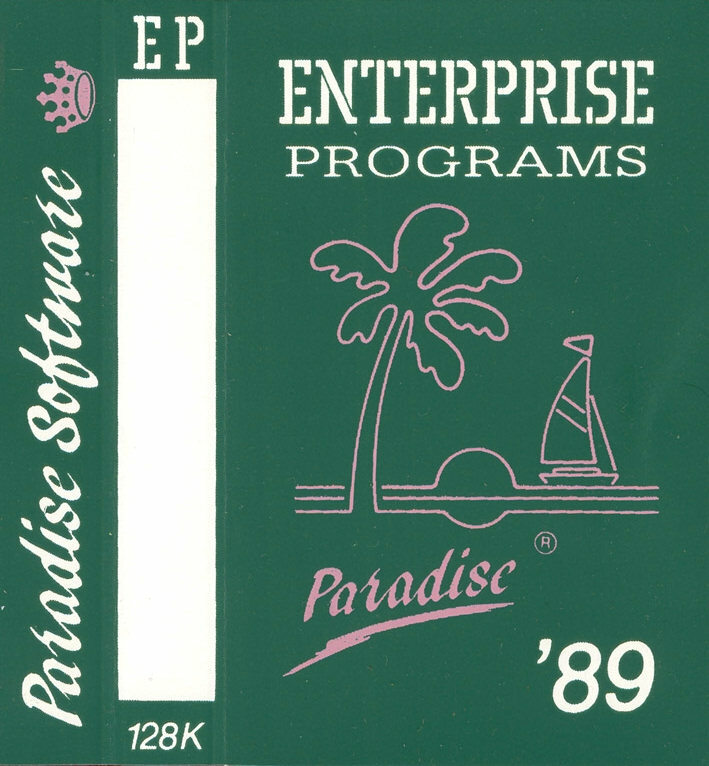 Thousands of Enterprise users waited for new developments for a years but don't got anything from the official company. It is including photo of the German Floppy Station, but look closely: it is with another drive, not with the regular BASF drive. And the slot cover from the System Bus Bridge are missing. I think this is one early prototype. - the FDD connector is not the flat one (90°) but an upright one. This version does not fit to the final EXDOS controller housing. - A handmade sample of a controller in a box. This sample was used for some press pictures, as there was no Exdos-Box at that time. - Exdos, as it arrived in Germany in polybags. The controller plastic housing parts have been shipped separately, but I do not have original samples anymore. This version fits to the final EXDOS controller housing. My own EXDOS Controller from 1986. I made 20 of the controller boards. Unfortunately the card is not very well documented, because it was my first project for the ENTERPRISE and as you can see from the board: It was completely made by hand with self-adhesive tapes, symbols and in 2:1. This is my DIY double fdd drive, made of OEM drives and OEM housings, that I got at a very low price in one of the electronic ware houses in Munich. I could never find out, who originally made/sold them, but the drives are from EPSON. I made an external power supply (12V/5V) for them and used them for several years on my own ENTERPRISE 128k. I made an internal static 64kByte card for ENTERPRISE, to upgrade 64k machines to 128k. I have empty pcb's of that expansion, but they are out of early production and there is a wire missing (as you can see from the attached pictures). Page created in 0.291 seconds with 39 queries.